Watch out for this awesome! Getting yourself on video is more important that ever! Don't be freaked – Sarah has so much experience and HUGE tips for getting your face in front of a camera and building a CAREER with your skills! She knows exactly how to help you find success with videos! To subscribe on itunes go to http://www.ThePreparedPerformer.com/itunes And, please scroll below the video to take advantage of the awesome gifts Sarah has for us! Sarah Michelle Brown’s passion is for telling stories that reach out and give audiences a powerful experience. 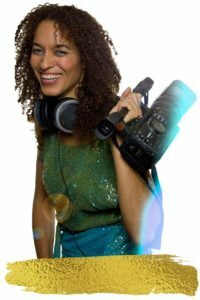 She is an award-winning artist who writes and directs for the stage, in music videos, documentaries and narrative films. Since studying at the Neighborhood Playhouse School of Theater in New York City, Sarah has primarily worked as an indie artist. Most recently, Sarah has turned her 15+ years experience in front of and behind the camera, into a method of training entrepreneurs how to make videos that shine. Sarah Awesome Offer For You! Hosted by Molly Mahoney, Jenny Schneipp at the Piano, Nick Walker behind the camera.